What is a Louisiana Living Will? Louisiana Living Will: What Is It? 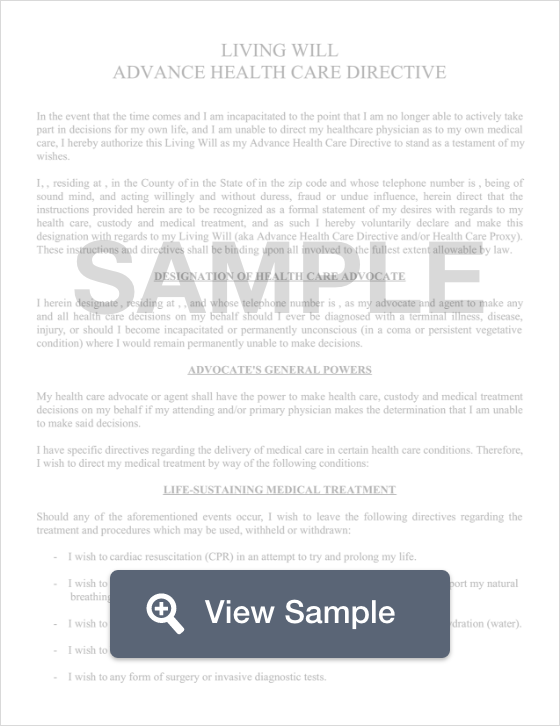 A Louisiana living will is a legal document that outlines your wishes related to medical care if you are no longer able to make your own decisions. A Louisiana living will is also used to name a person to authorize decisions on your behalf if you are unable to do so in the future. A Louisiana living will must have two witnesses and you can put a copy on file with the End of Life Registry which is maintained by the Secretary of State. § 1299.58.1: The purpose of Louisiana’s law is to protect the rights of individuals to make their own medical decisions in advance of a time when they are unable to express those wishes because they are incapacitated. To further express your wishes after your death, use a Louisiana last will and testament.